Item # 311876 Stash Points: 3,995 (?) This is the number of points you get in The Zumiez Stash for purchasing this item. Stash points are redeemable for exclusive rewards only available to Zumiez Stash members. To redeem your points check out the rewards catalog on thestash.zumiez.com. 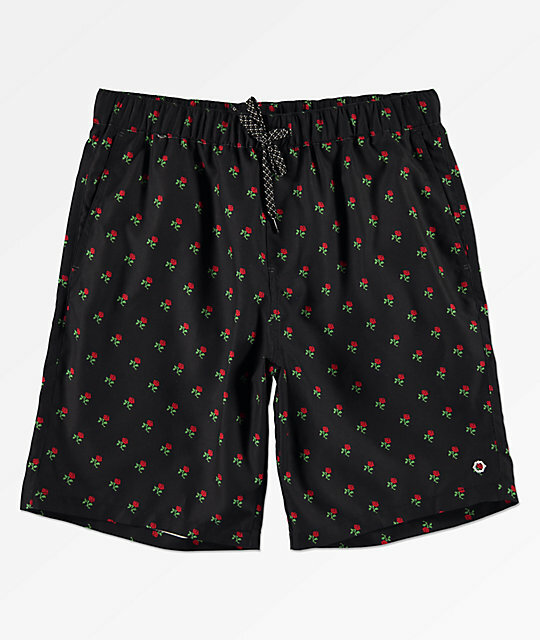 Gear up for warm weather fun with Empyre's all-new Grom Red Rose Black Elastic Waist Board Shorts. 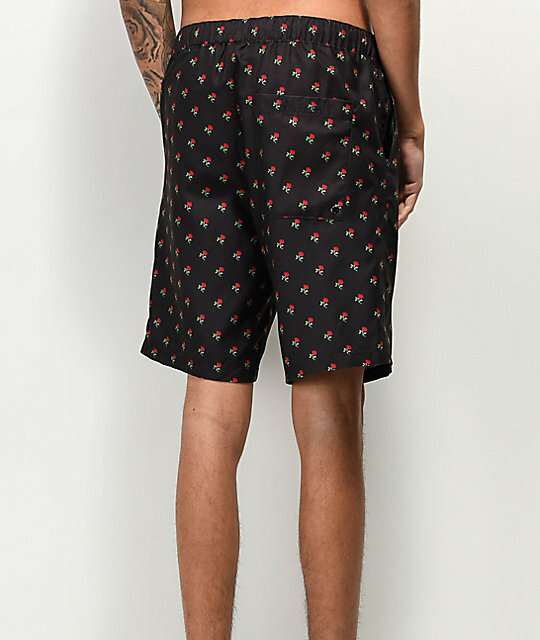 Fairly simple and versatile, the Grom Rose has an overall black colorway that's embellished with an eye-catching rose flower print pattern throughout. Convenient with a three-pocket design and an adjustable drawstring waist, the Grom is a wonderful go-to pair of swim trunks. 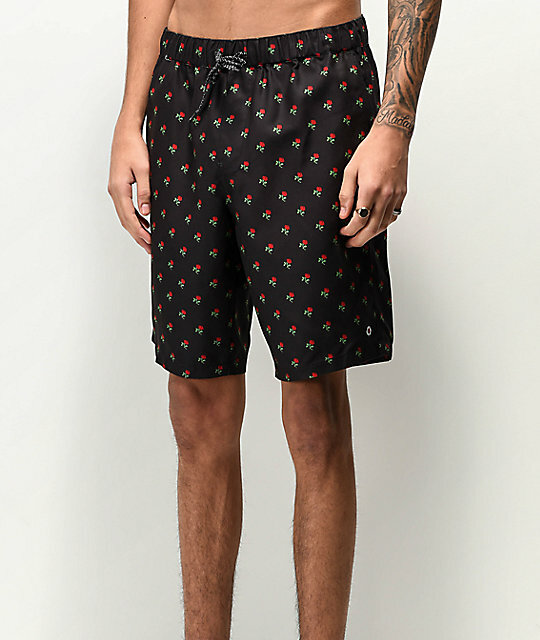 Grom Red Rose Black Elastic Waist Board Shorts from Empyre. 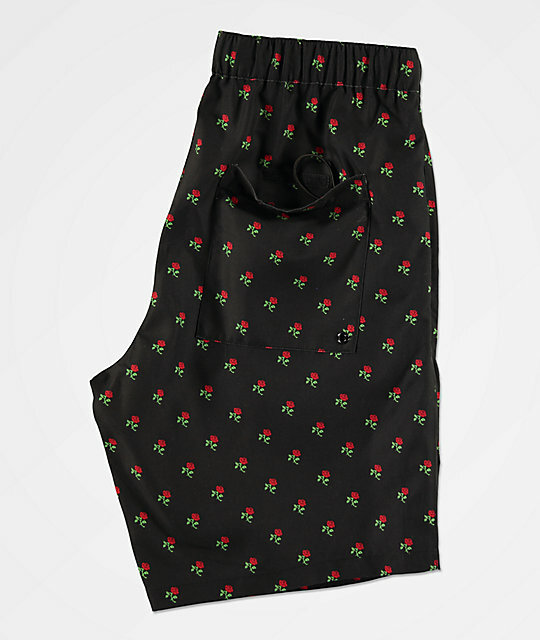 Black colorway with red and green rose print pattern throughout. Moisture-wicking and quick-drying nylon swim trunks.